Simple yet Aggressive graphic, reminiscent of nostalgic Bumblebee styling, will add a unique look to your Dodge Dart in minutes! Available here in Matte Black, kit is precut and ready to apply with NO TRIMMING required. 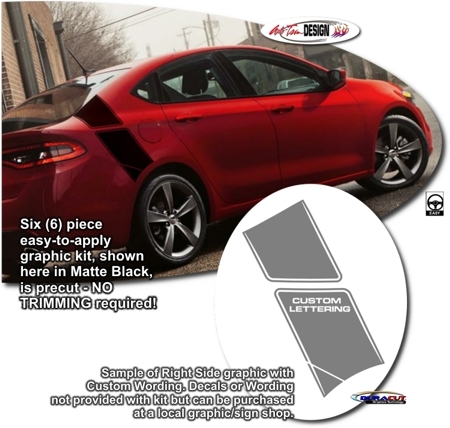 Graphic kit is vehicle specific and will fit any '13-Current Dodge Dart. It will not fit any other vehicle.